Looking down on Mars we see Gale Crater as a crater among many craters, but even from this distant perspective Gale Crater is unique, special, and above all, intriguing. In the image below we can spot the 150km in diameter Gale Crater because of its massive central uplift, Mount Sharp, which rises 5.5 km above the northern crater floor and 4.5 km above the southern crater floor. It is Mount Sharp that makes Gale Crater so intriguing and worthy of future study. Mount Sharp's base is thought to be at least 2 billion years old. It is comprised of clays and sulfates, two materials that are only known to form in the presence of water. The layers directly on top of those are comprised primarily of sulfates, with very few clays, which implies that they were formed in an environment where Mars was becoming drier and water was evaporating. See the next image for an idea of what these intriguing layers look like. Study of these layers would confirm speculation that Gale Crater once contained a lake of water. What you see is that the central uplift is enormous, but that there is significant flat space around it that could serve as a landing space for a future mission. And as it so happens there is a mission heading for Gale Crater! The Mars Science Laboratory Curiosity was launched on November 26 2011 and is expected to at the foot of Gale Crater's Mount Sharp in early August 2012. The below image provides some context for Curiosity's landing site within Gale Crater. Let's take an even closer look at the anticipated landing site for the Mars Science Laboratory. The image below takes information from a variety of orbiters, past and present, to determine what the landing site and surrounding terrain looks like. The oval above is the area that Mars Science Laboratory has a 99% chance of landing. The turquoise line is a possible path that it could take as it examines the base of Mount Sharp and navigates its way up through the layers of the central uplift. But what kind of terrain will Curiosity be navigating through? That terrain can best be seen in the below images from Mars Reconnaissance Orbiter's HiRISE camera (below). The below image shows a portion of the surface in the Northwest part of the landing site outlined above. As you can see from both the above HiRISE images, Mars Science Laboratory will encounter many small hills, craters, and other obstacles on its way to the base of Mount Sharp. 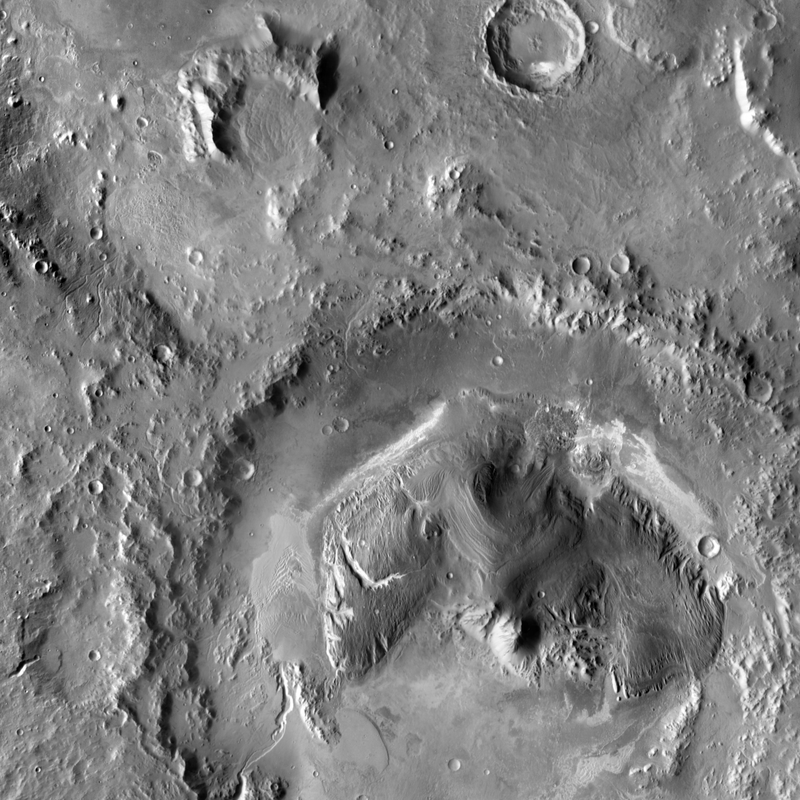 These features though are hardly among the most interesting in Gale Crater. One of those that is of the utmost interest to scientists is often referred to as the Grand Canyon of Gale Crater (seen below). 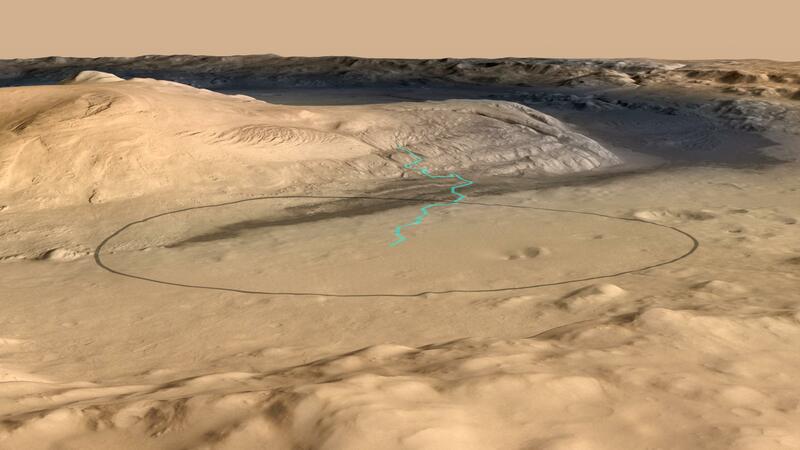 This enormous chasm bisects Gale Crater and cuts through the central uplift, Mount Sharp. Examining the inside of this canyon would give scientists unprecedented access to billions of years of layered deposits that could provide answers to many questions about the past climate on Mars. Not only would study of these layers confirm the existence of water, but because Mars Science Laboratory is so sophisticated it can determine the acidity of the water that deposited the clays and sulfates discussed above. 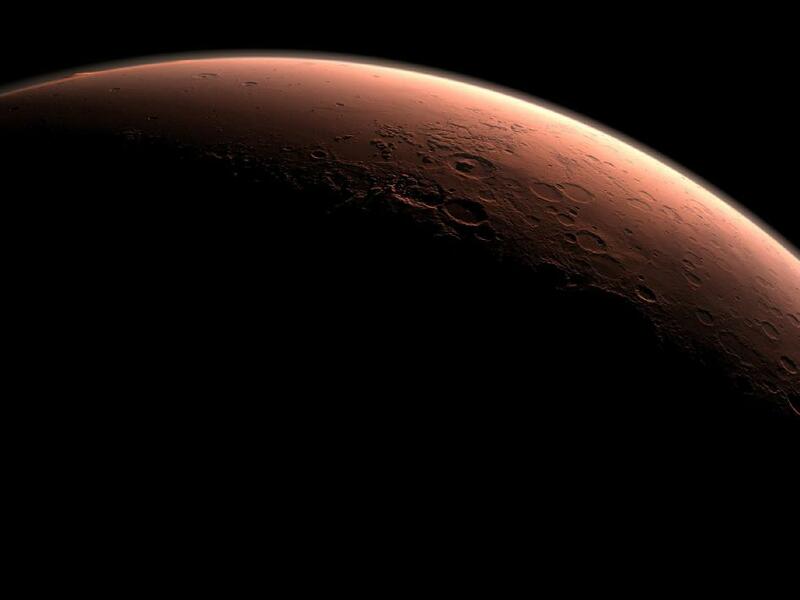 Determining the acidity will give us a better idea of whether Mars was once habitable. If water is too acidic it becomes extremely difficult for life as we know it to thrive, but as it become more basic and closer to neutral it becomes more likely that it could have supported life. While the direct mission of Mars Science Laboratory is not to detect life, past or present, on Mars, it will be able to tell us whether life as we know it could have existed in Gale Crater. Gale Crater was chosen over numerous other candidate landing sites because scientists believe it has the best chance of proving that Mars was once habitable. Come August we will begin to find out if that assessment was a good one and if Gale Crater has been worth all the intrigue!